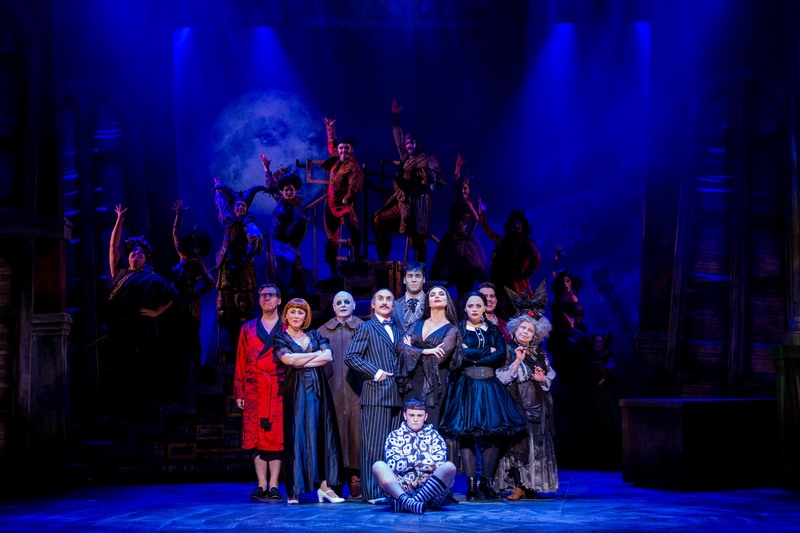 They’re creepy and they’re kooky, mysterious and spooky – it’s the Addams Family! The brand new musical comedy from the makers of Jersey Boys is currently on at Mayflower Theatre until Saturday July 29. 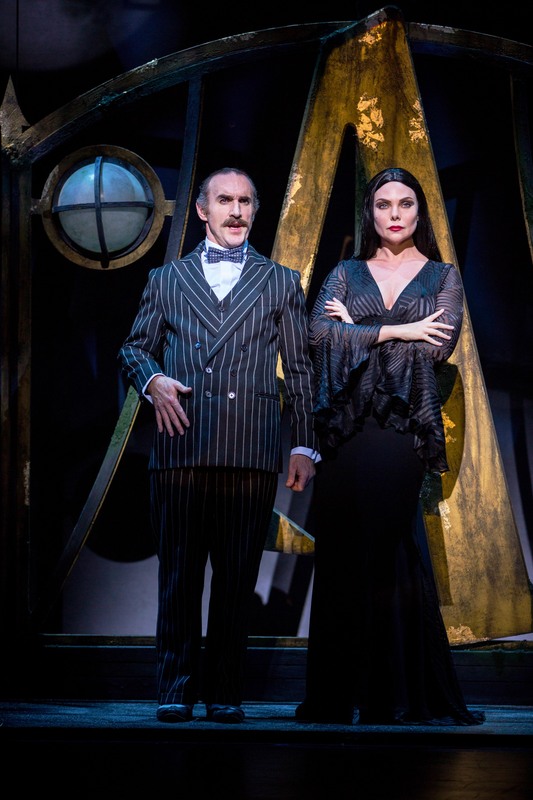 The show has a star studded cast with Samantha Womack as Morticia, Les Dennis as Uncle Fester and Carrie Hope Fletcher as Wednesday. Samantha you will know from her role as Ronnie Mitchell in EastEnders which she’s just finished after a decade of wheelings, dealings and deaths. Les is the famous presenter, actor and comedian who’s now treading the boards. 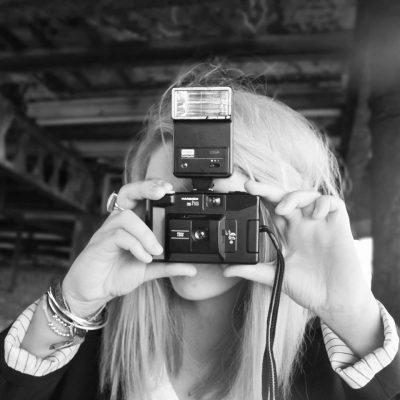 Carrie is a West End musical superstar, author and vlogger, you might know her famous brother who’s in McFly! 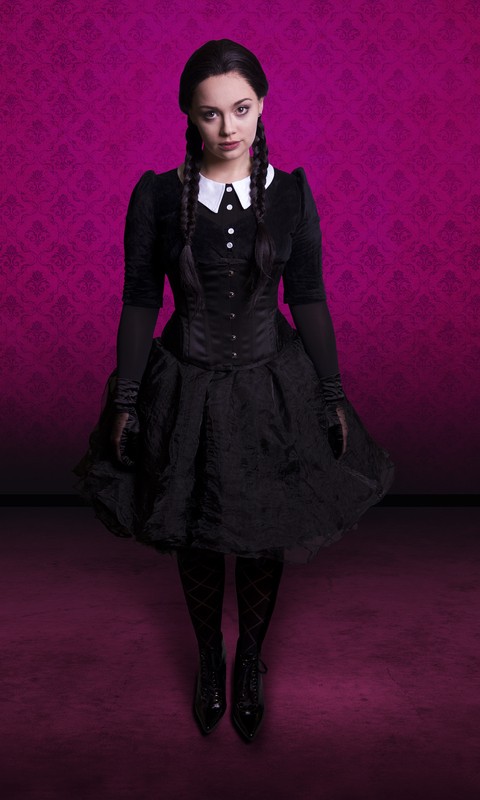 The story follows a grown up Wednesday Addams through the trials and tribulations of true love. While Gomez and Morticia have to navigate the normality of the respectable young man that’s stolen her heart. Gomez decides to keep a secret from the love of his life and it all comes to a head on the night of an important family dinner. Last night I went with the Southampton Bloggers to see the lovable weirdos in action and I really wasn’t sure what to expect. 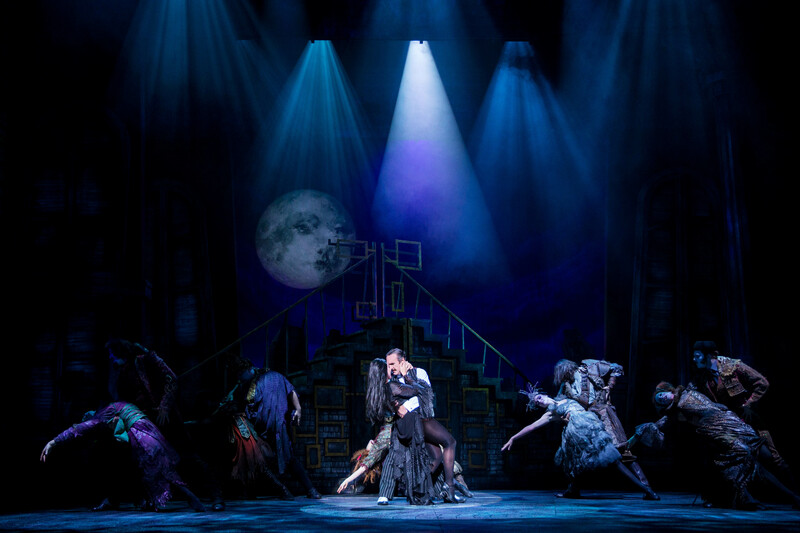 I love the Addams Family so I think I was worried that it might be too silly or childish. 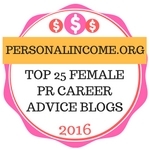 Stage productions for me can be hit or miss but, I need not have worried. 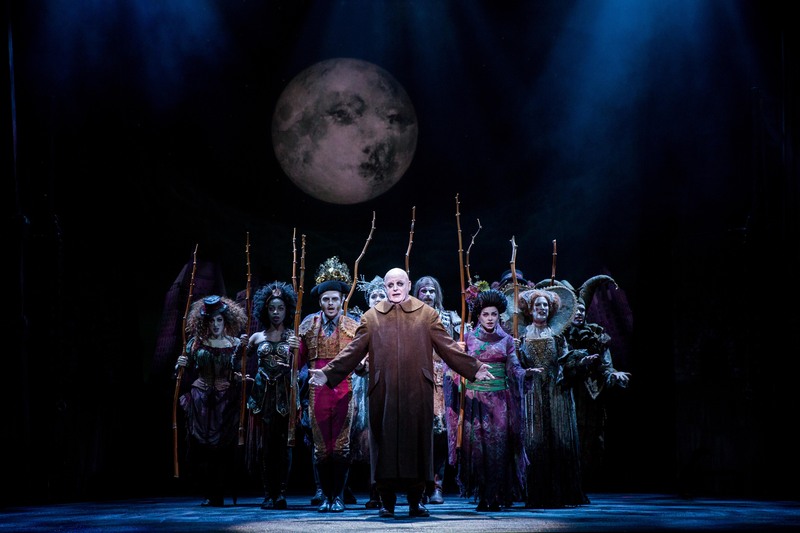 The production really blew me away, the balance of humour and music is just right. Everything from the costumes to the catchy songs made this a memorable show. The spooky set comprises of two large staircases that are used in such different ways to transform you to the various parts of the house – it is so clever. Taking centre stage are the actors, the whole cast just clicked (get it?! ), and I couldn’t single just one performance out. Samantha Womack is amazing and has a beautiful singing voice. I really liked her portrayal of Morticia which shows a slightly softer side to the matriarch. She had good comic timing with Gomez and moved and glided just like Morticia should. I’m ashamed to say that I judged Samantha for being a soap star. I really hate EastEnders so I was worried that her role would make this production a bit like a pantomime. Shame on me! Sorry Samantha! Cameron Blakely, portrayed the over zealous nature of Gomez perfectly. The over protective father drew many laughs from the audience. He had this ability to use every part of his body to tell his story and create a passionate Gomez. Keep an eye for his song about being ‘trapped’ in a difficult position. The impressive vocals of Carrie are made for the stage. She plays the head strong Wednesday torn between the love for her family and her new beau. 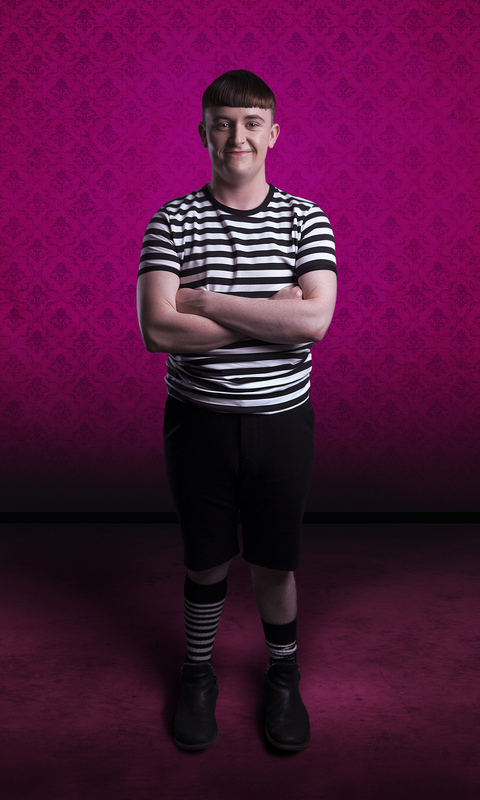 Her antagonising sibling and partner in crime Pugsley is played by Grant McIntyre. 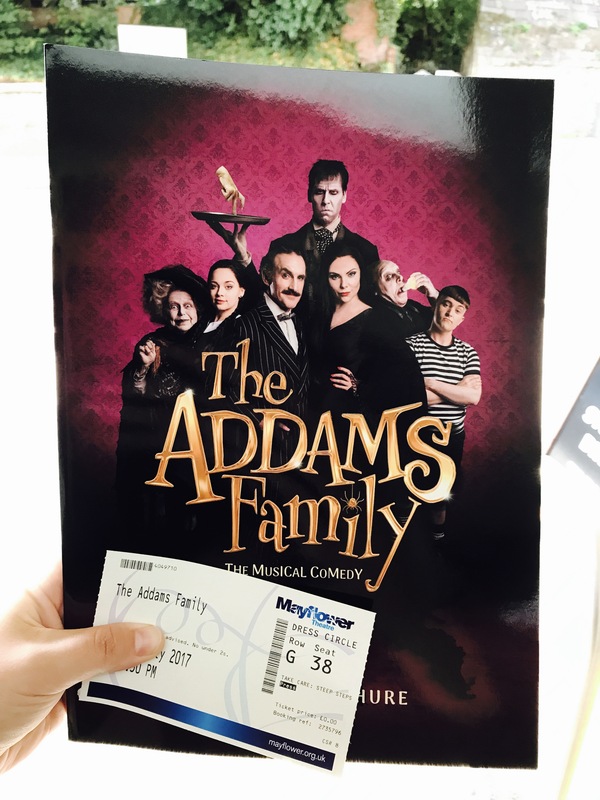 Grant brilliantly portrayed the cheeky and torturous nature of the youngest member of the Addams Family. He gives Pugsley a real endearing charm. I caught up with Grant on Twitter and asked him what his favourite part of the show was. I couldn’t believe he replied- legend! 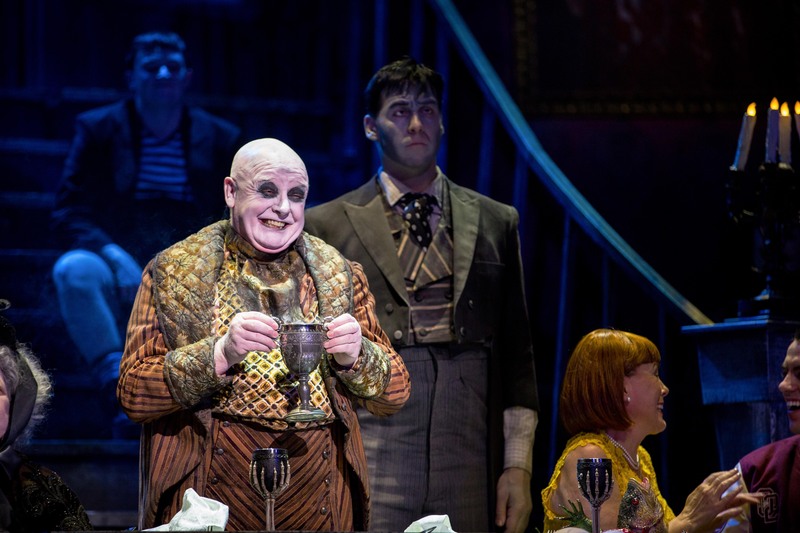 “There’s lots of things I love about playing Pugsley, but it’s always fun to play a child, because children are so uninhibited and that’s a great quality to find in a character. 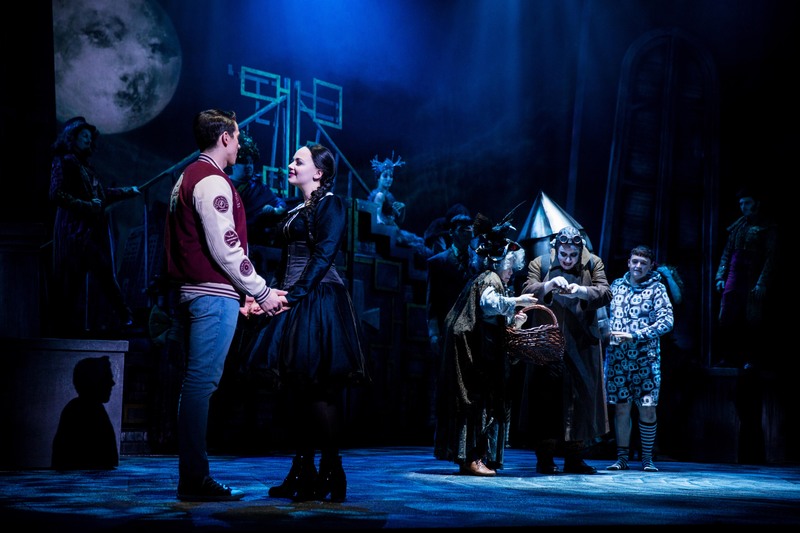 My favourite scene is the one in my bedroom in act two with Morticia, because you get to see a softer side to him and the whole family are slightly falling a part at this point so the stakes are high. “I also love singing ‘What If’ because it’s such an oxymoron. The melody is so beautiful, yet I’m singing about torturing myself! It’s genius!” said Grant. Les Dennis was virtually unrecognisable as Uncle Fester, especially with the accent he put on. He was very good and the glue holding the story together. Lurch, played by Dickon Gough, was full of surprises. I won’t spoil them for you but, these comic additions had the audience roaring with laughter. The show left me in such a feel good mood. It was the perfect bit of escapism, and a very entertaining show. 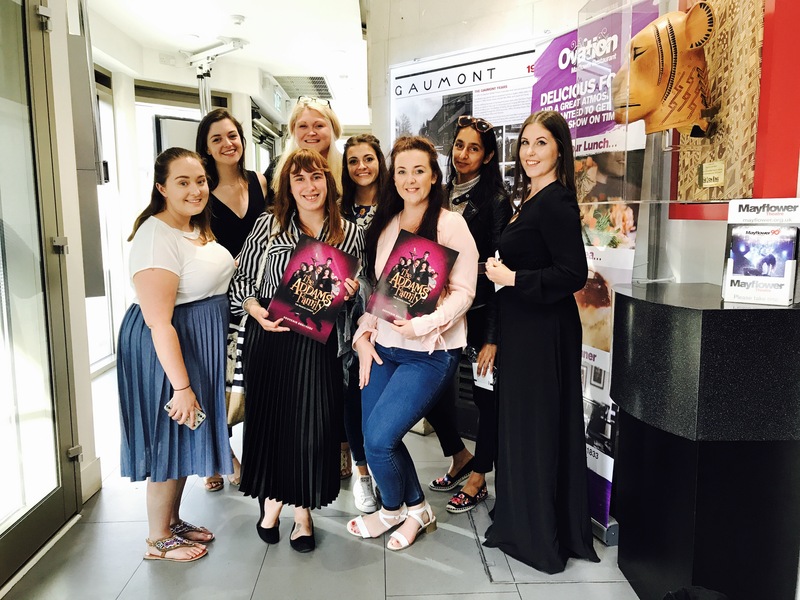 Thanks so much to the team at Mayflower Theatre for inviting me to review the show. I had a wonderful evening and came away feeling really uplifted. Don’t get left in the Lurch, this show is only at Mayflower Theatre until the 29 July and I’d definitely recommend you see it while it’s in town. You can purchase tickets from the Mayflower website. If you can’t make it to Southampton, you can find the rest of the UK tour dates here. Looks like fun. Best wishes and enjoy the day. Whoa! I’d love to see this, looks like such a good show! It was AMAZING! 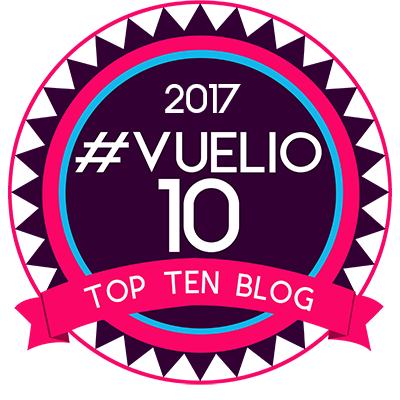 It’s touring the UK until November and then it’s heading out across the world – there’s a link in the post which shows you where it will be going. 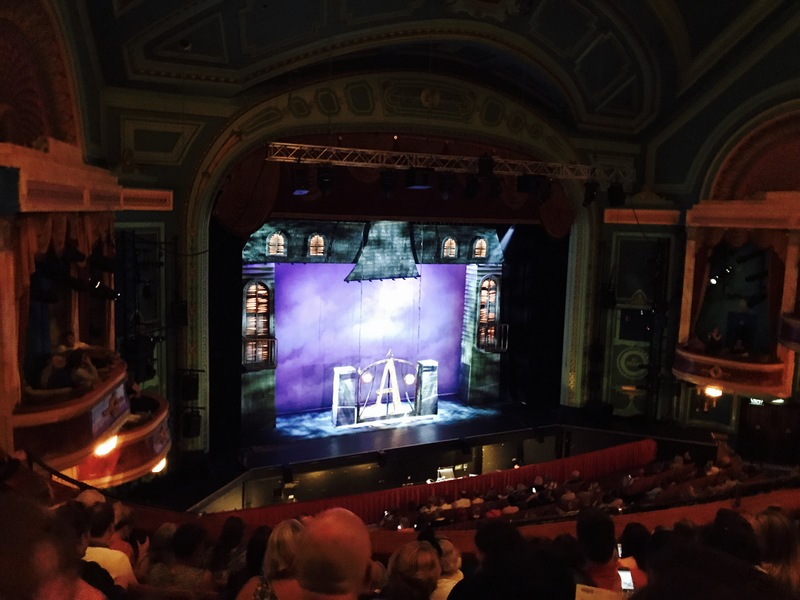 I’m another big fan of The Addams Family – looks like a great show! Will definitely keep a look out for it touring near me! It it – defo worth a watch!